All 105 units of the yet-to-be-built No. 1 River Landing condominium were sold out Sunday, after only four days on the market. 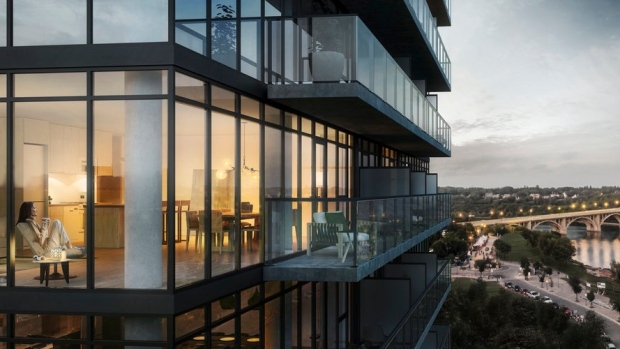 Developers said they knew the condominium, located on the corner of Second Avenue South and Spadina Crescent, was in high demand, but they never expected the units to sell so quickly. To claim a unit, buyers provided $2,500 up front. A 10-day cooling-off period in which buyers have the opportunity to cancel out of the agreement penalty-free is still in effect, according to developers. Potential buyers can still sign up, but the waitlist is fairly long. Construction on the condominium’s underground parkade is already underway. According to developers, construction of the condominium tower is expected to start in September. The condos should be move-in ready by 2019. A hotel, two office towers and a park are also being built as part of the development. Condo units range in price from $249,000 to $1.2 million.